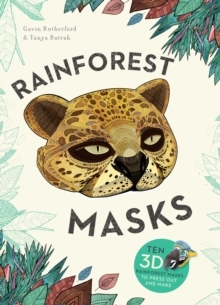 Pop out and play with these amazing rainforest creature masks! 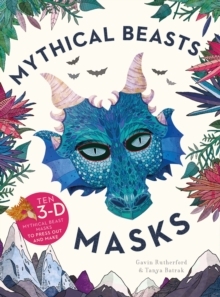 A toucan, a jaguar, a frog, a butterfly and more are waiting to be brought to life inside these pages - all they need is you!Featuring ten strikingly beautiful illustrated paper masks to press out and build, making and wearing these rainforest faces leads children on a crafting journey to creative play. Great for play dates or rainy day activities, costume parties, or dressing up just for fun, these masks stimulate and encourage children's imaginations to run wild.